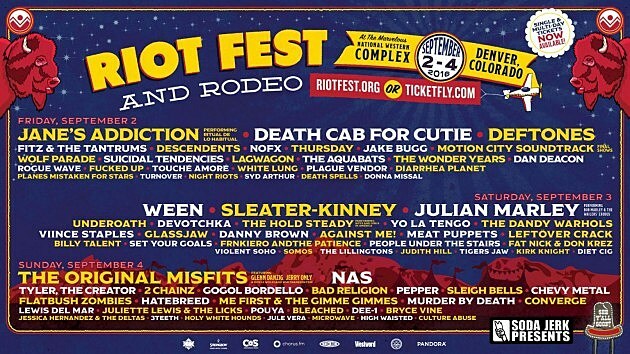 The initial Denver and Chicago Riot Fest lineups were recently announced with a few empty spaces, and now those spaces have been filled. Bob Marley’s son Julian Marley will perform his dad’s album Exodus in full at both festivals. Denver gets the additions of 2 Chainz, Gogol Bordello, Devotchka and The Lillingtons; and Chicago gets The Flaming Lips, Sleater-Kinney, The Julie Ruin, The Bronx and more. 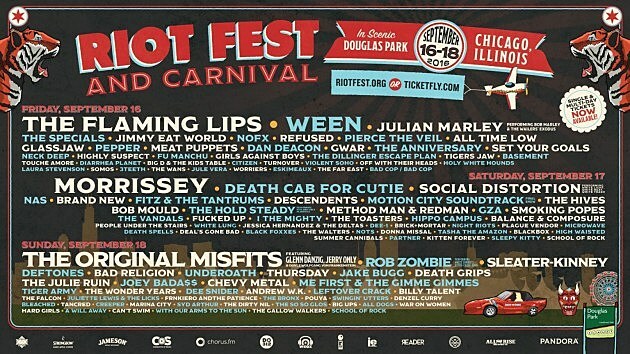 Single-day lineups have also been announced, and yes Chicago, you do get Morrissey and Brand New on the same day. Check out each day on the posters above. Single-day and two-day passes go on sale today (6/28) at noon CST. Three-day passes (same link) for both fests are still available.